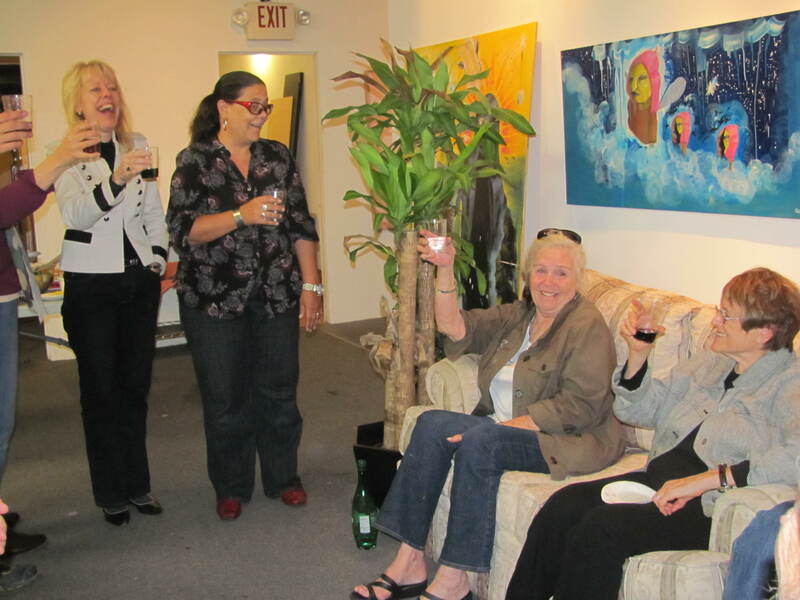 We had our farewell potluck party Friday nite at SeaBreeze Studios and Gallery in Ventura. It was fun, festive and also kind of sad. An era come to an end. I do know that whenever there is an end to something there is always a new beginning for something else. So I think we all ended the evening on a positive note even though there were some tears. Sandra McCullough had a vision 6 years ago. I was the first artist to join her newly formed SeaBreeze Studios. At the time I was doing photography and had a studio complete with lights and backdrops. SeaBreeze grew and ended up taking up more space for more artists as well as a gallery space for monthly exhibits for the resident artists. The first gallery exhibit “Celebration” was comprised of my multiple exposure images which had been done in camera and yes on film. Sandra, an artist herself has always been so supportive of the artist community. She celebrated with us our breakthroughs and new creations, what an incredibly warm, fun generous and giving person she is. Bravo Sandra, you did it, you manifested your vision, you created a wonderful and nurturing artist community. We thank you for that.